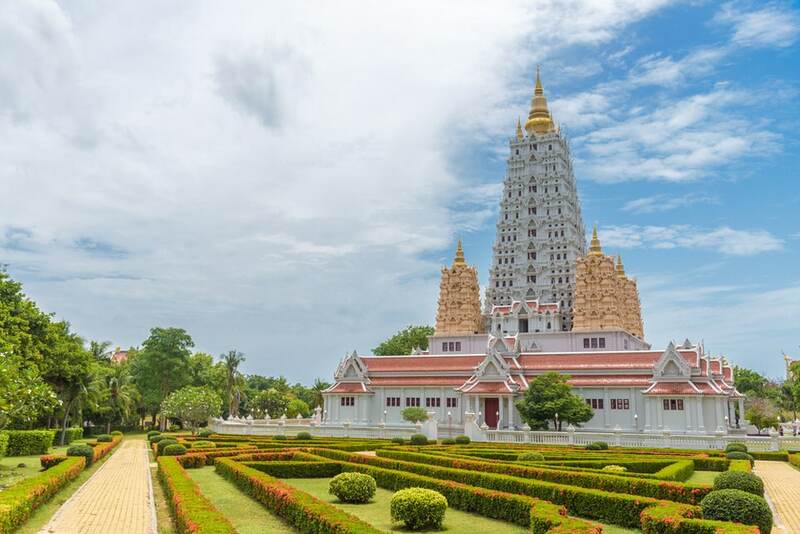 Wat Yansangwararam is a beautiful temple complex located about 40 minutes south of Pattaya. Wat Yan, as it is known to locals, is a popular destination for both tourists and locals. The temple is well worth the trip to spend a few hours enjoying the architecture, history, and lovely gardens. The temple complex is huge, comprising of over 145 acres of land. In addition to the main temple of Wat Yan, there are many other buildings to see including 7 pavillion halls, the hilltop Chedi, a school, a hospital, and several other smaller pagodas and religious structures. 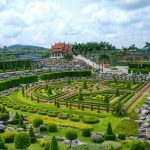 If you make the climb to the top of Wat Yansangwararam you will be treated to some amazing views out across the countryside. You can see all the way to the high-rises in Jomtien and Pattaya on a clear day. Wat Yan is situated on Ban Amphoe reservoir which makes for good view and a pleasant walk exploring some of the pavilions built over the water. In addition to the large lake, there are some other ponds and water features found throughout the grounds. While you are exploring the buildings, you’ll encounter a variety of Buddhist relics and exhibits. You’ll find life-sized wax figures of Buddhist monks lined up in a row like they are meditating. In the main Mondop is a replica of the footprint of Buddha. And in the Chedi that sits on the hilltop above the temple is more relics of Buddha and his followers. As you walk around the temple grounds you’ll come across a variety of statues and artwork. One of the main statues is that of King Rama VII and his wife Queen Rambhai Barni. There are also several Golden Buddha statues located in some of the buildings. The signage and instructions are all in Thai which can make things a little difficult if you are doing this trip on your own. It might be a good idea to take a Thai friend with you that can help in the translation, or even hire a guide for the day. If mediation is your thing, Wat Yan has meditation classes daily. Though they are probably taught all in Thai as well. This short video gives you a nice overview of what you can expect to see at Wat Yan. It can take several hours to fully enjoy your visit to Wat Yansangwararam. 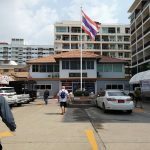 Since it is a far drive out of Pattaya, you may want to combine it with a visit to one or more of the nearby attractions. The Viharn Sien Chinese Temple, a quick stop for some photos at Khao Chi Chan (Buddha Mountain) or maybe a winery tour at Silverlake Vineyard. You should be able to see at least one of these in addition to Wat Yan. 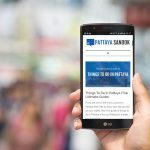 For other ideas of nearby attractions, check out our Sightseeing Guide to Pattaya. Wat Yan was dedicated in 1976 to honor the Supreme Patriarch of Thailand at the time, Somdet Phra Yannasangwon. He was the head of Thailand’s order of Buddhist Monks. Wat Yan was brought under the patronage of King Bhumibol who is said to have spent over $600 million on its development and construction. The architecture of the buildings show an influence of styles from several different cultures. You’ll recognize aspects from Thai, Indian, Chinese, Japanese, and even Swiss design. The best option for getting to Wat Yan is to hire either a baht bus or taxi to take you there and return. Or hire them for the whole day if you plan on combining your trip with another attraction. It is a 40-minute drive each way. Another option is to book a tour through the hotel tour desk or a local tour company. Though you are usually stuck on their timetable and with other tourists if you don’t book a private tour. Dress appropriately when visiting the temple. Clothing must cover your shoulders and knees. Long pants and a short sleeve shirts are preferred. No tank tops or shorts.